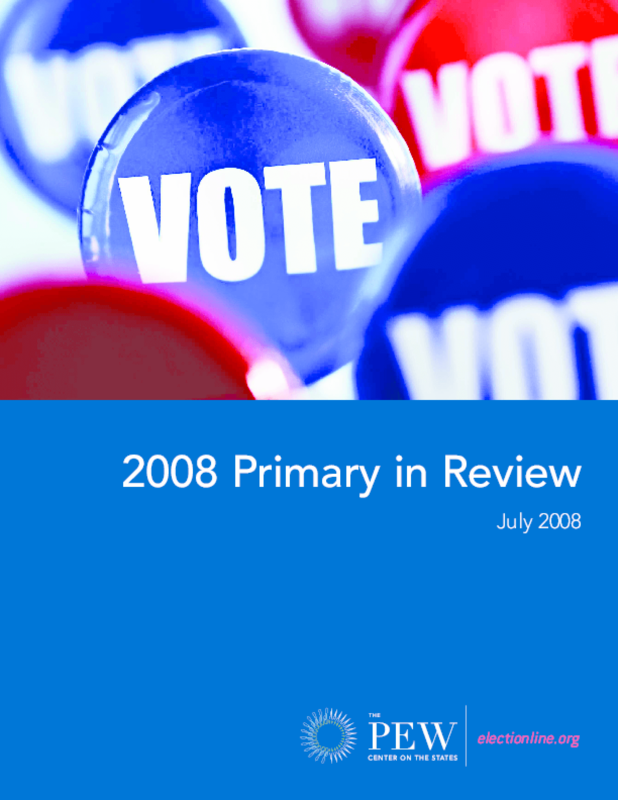 A review of the 2008 primary season has found that the dramatically increased number of voters taxed the election system more than any administrative problem. Millions of voters -- many of them first timers -- crowded polling places around the country, doubling recent turnout in some states. The "big three" issues of election reform -- voting machines, voter registration databases and voter ID -- did not drive the headlines during primary season. Rather, the report found, long lines at polling places, ballot shortages, machine demands and other problems combined to produce a system overwhelmed by voter crowds. "From New Hampshire in January to Montana in June, we saw a primary season busting at the seams with voters," said Doug Chapin, electionline.org's director. "Many election officials might have identified with Sheriff Brody's character in Jaws who said, after seeing the great white, 'we're gonna need a bigger boat.' Things did not always run smoothly, but we found that the major issues that have dominated election reform in years past took a backseat to long lines, photocopied ballots and overwhelmed poll workers." Copyright 2008 electionline.org. All rights reserved.